Yes, more writing coming your way very soon. Story time with Alex and John will be updated tomorrow, sorry for the Holiday delay. Love this quote! I’m not a big fan of Faulkner’s writing but his book As I Lay Dying was very beautiful and is one of my favorites. Have a happy and blessed new year with much joy, peace and comfort! 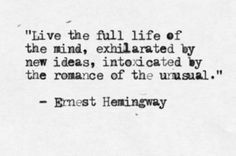 Wonderful quote from a wonderful writer. Thank you. The only way I see people share posts with easily giving credit to the blog is by reblogging them. I am still new to the blog world myself and figuring it out as I go along.